Graded MINT 9 by PSA. Hall of Famer, in a sought-after Rookie Card appearance. Among more than 1,650 copies recorded in PSA’s census reporting, just one example has been placed at a higher tier. 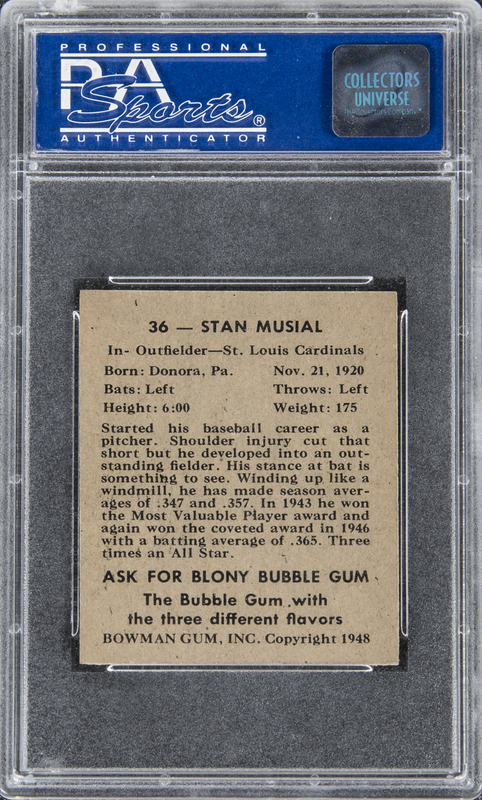 This exceptionally commendable example of Stan Musial's Bowman rookie card is subtly dazzling in its depiction of greatness. Its uncaptioned black-and-white photograph is vividly printed and clearly resolved, and its surface quality is comparably superb. Untouched white borders highlight the piece's perfectly preserved, mellow aesthetic, and all of its corners are pinpoint-sharp. The back is clean and free of wrapper staining. 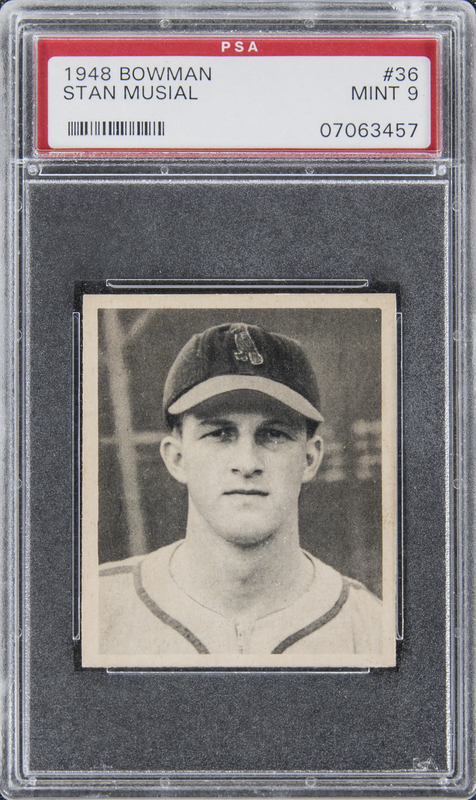 As the future highlight of an advanced Cardinals display, or a Hall of Fame rookie collection of the highest quality, this thoroughly praiseworthy piece reflects indisputable Mint condition.